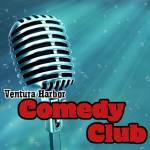 After 26 years, The Ventura Harbor Comedy Club is still Ventura’s hometown favorite for laughs! Ventura Harbor Comedy Club is owned by two professional comedians who use their comedic chops to book an eclectic cast of the country’s top-touring chuckle-heads. Call for reservations.